Gangsta rap lost a true pioneer this morning when Nate Dogg died at the age of 41. 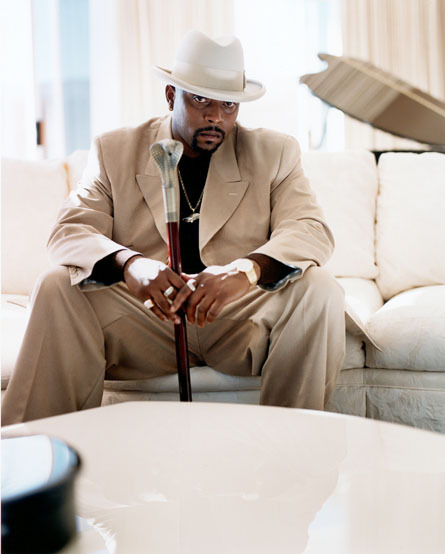 Nate Dogg began his career with the upstart Death Row Records. One of the quiet members of the crew, Nate Dogg was in the middle of the biggest beef of all-time. Despite being a part of some of hip hop's toughest crews, Nate Dogg earned crossover appeal. By the 2000s, Nate was primarily known as Snoop Dogg's sidekick. He has provided hooks for many of the top rappers in the game. In 2007, Nate had a stroke that almost claimed his life. Earlier today, Nate Dogg's life was officially claimed and the hip hop community is taking the time to mourn him. Rappers who have worked with him have released statements. Read the original article at Hip Hop Vibe.